« What’s missing from Draut’s Better Deal? 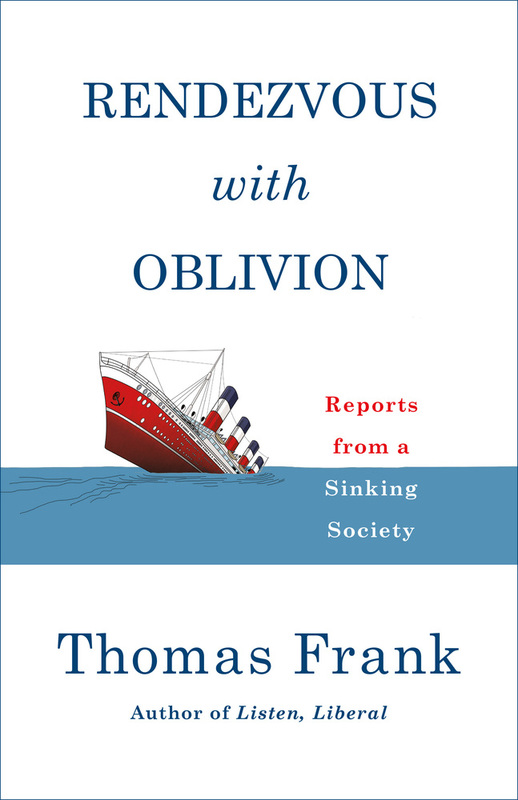 Thomas Frank has a new book out, an essay collection called Rendezvous With Oblivion: Reports from a Sinking Society. The videos above and below consist of interviews he gave about it. Here’s how he introduced it. In my opinion, and in Thomas Frank’s, too, Donald Trump is a bad President. But it will do little good to drive Trump out of office if they don’t do something about the conditions that enabled him to get elected in the first place. This has been said before, but it bears repeating. This entry was posted on June 27, 2018 at 12:08 am and is filed under Books, Politics. You can follow any responses to this entry through the RSS 2.0 feed. You can leave a response, or trackback from your own site.